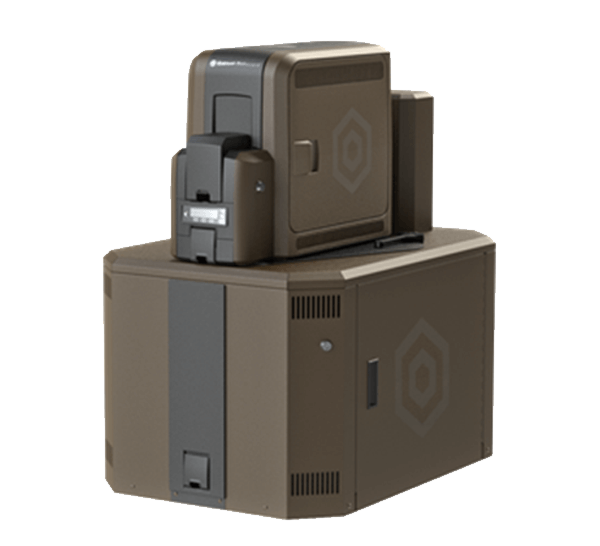 The Entrust Datacard™ CL900 Laser Personalization System is the next generation of laser solutions. Deploying proven laser engraving technology on your desktop reduces program risk and provides the ability to scale your card-issuance program up or down as needed — with redundancy at regional sites and speed and efficiency at large sites. State-of-the-art fiber optic laser engraving technology delivers exceptional quality and durability. With over 124 million documents issued annually through our central-issuance laser personalization solutions, Entrust Datacard has the world-class laser expertise and experience governments can rely on and trust. This same technology is now available at your desktop. Please contact your Entrust Datacard representative. State-of-the-art fiber optic laser engraving technology delivers exceptional quality and durability. Laser engraving makes document extremely difficult to alter or forge, as the substrate is permanently changed when personalized. Laser engraving enables true gray-scale printing for photo quality black and white images, text and other graphic elements in precise detail. Text and images do not fade and are not subject to deterioration from UV light, moisture or surface abrasion. Many poly carb laser-engraved documents can last up to 10 years. Our new desktop laser-engraving system provides close-match output, whether you are using a centrally-issued or regionally-issued system — providing governments with the opportunity to have a flexible, secure issuance anywhere platform. Physical Dimensions (Printer and Laser Combined) L 30.5 in. x W 22 in. x H 34 in.